On the first day of September a serendipitous sun shower in late afternoon was followed by a quite stormy evening. That night the garden received a refreshing inch of rain. 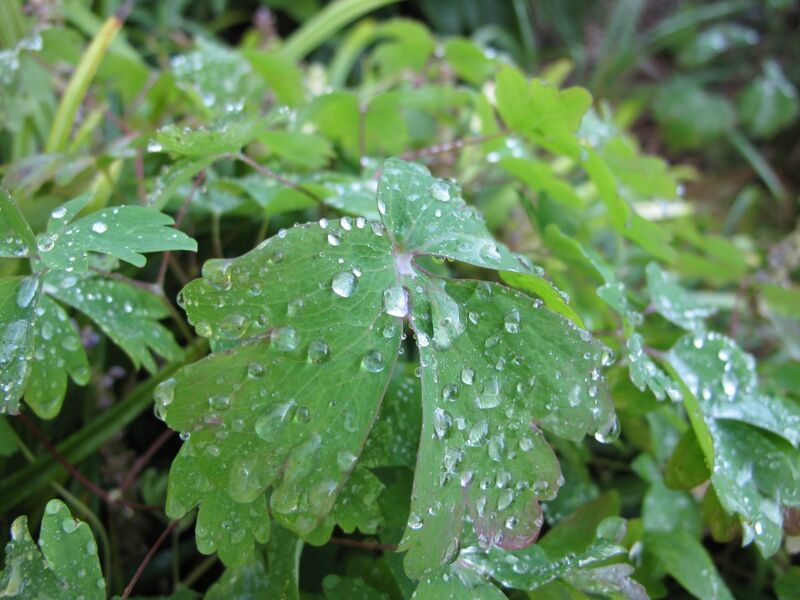 Now a mere week has passed without rain, but the effect on the garden was immediate. All of the borders are browning, shriveling and retreating as plants lose their vigor. Though the days are still warm, the nights are noticeably cooler and the amount of daylight is decreasing. Responding to these signals, the changes in length of day, temperature and moisture, the garden appears to be receding. Rarely do I water the garden, but I would like to prolong this year’s flowers a few more weeks. With no rain in the forecast for another five days, I walked out soon after dawn to apply some selective relief. At that early time of day the neighborhood was luxuriously quiet, interrupted only by pleasant birdsong and rich tones from wind chimes catching a gentle breeze. Cardinals and hummingbirds went on with business as I carried around the hose. As bees have been mostly absent this summer I was surprised to see a large number of bumblebees. Two American Goldfinches, brilliant yellow, each stood atop Purple Coneflower seedpods surveying the bounty. With the watering done I walked the meditation circle, then used the camera to make notes of the morning. There still are some flowers to enjoy. 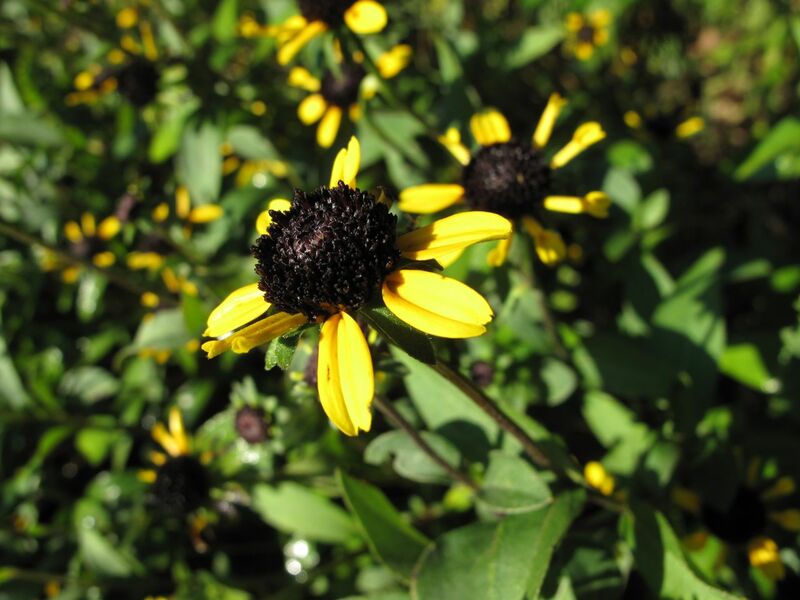 The garden has two Rudbeckia hirta ‘Irish Eyes’ and one is completely spent, yet the other at the bottom of the southern side path continues to bloom profusely. 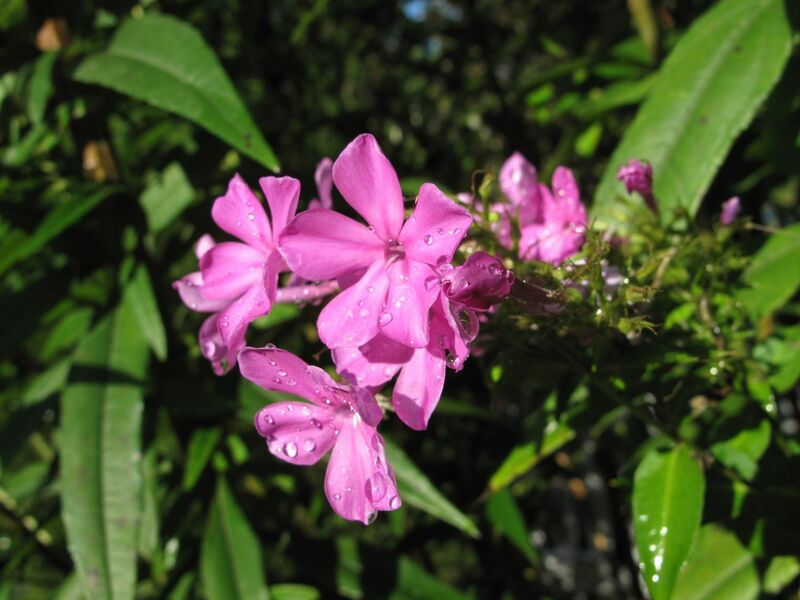 Hummingbirds and butterflies are attracted to Phlox Paniuclata, which thrived with all the rain this summer. No deer bothered jumping the fence to get to it either, a first in many summers. 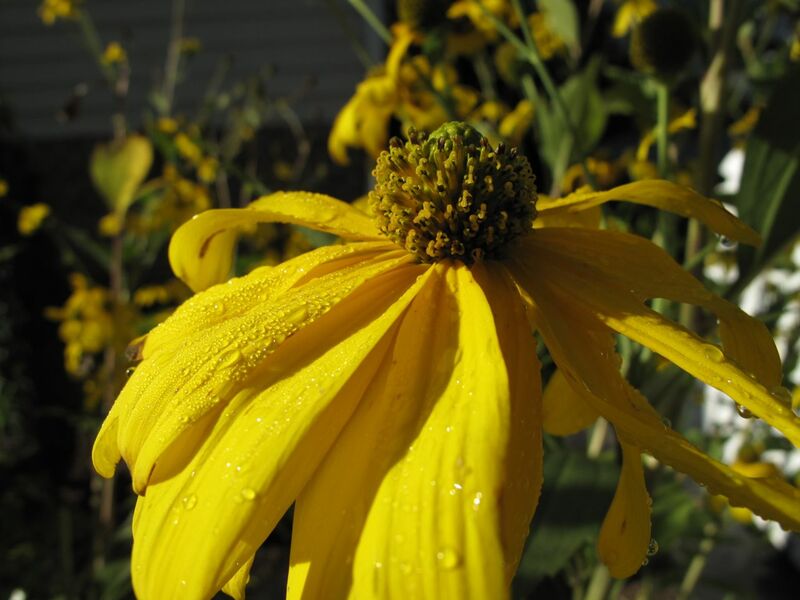 Orange Coneflower is one of the plants that began sagging so much this week without water. 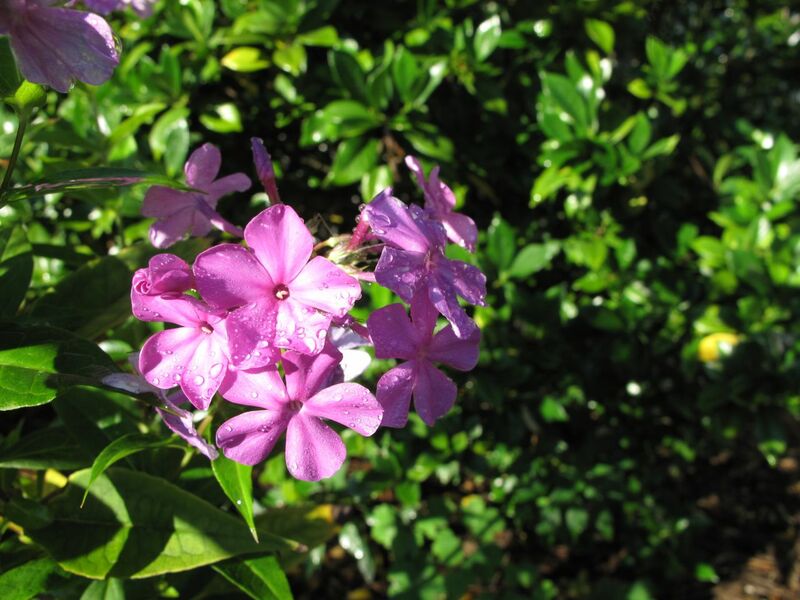 One would expect this native plant to be more drought-tolerant than a week. 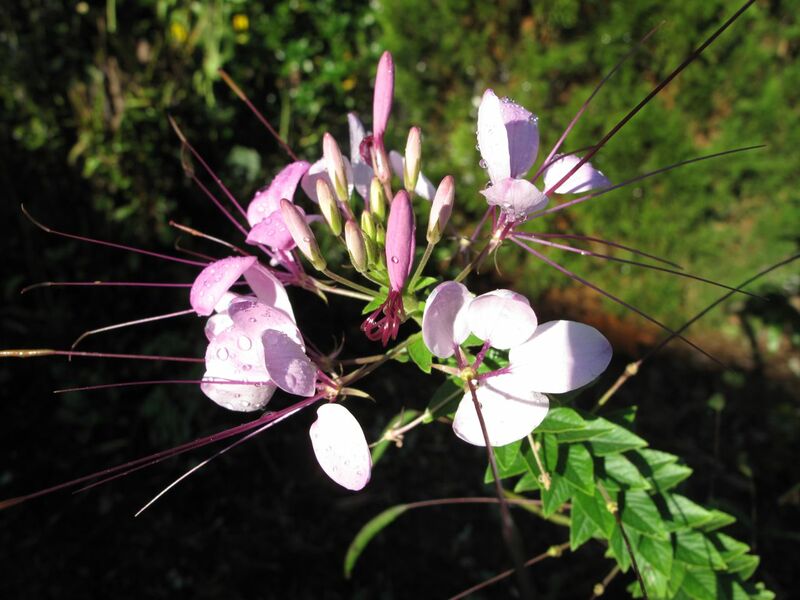 Cleome bloomed well all summer. Though many have dried up and formed numerous seedpods, a few are just beginning to bloom. 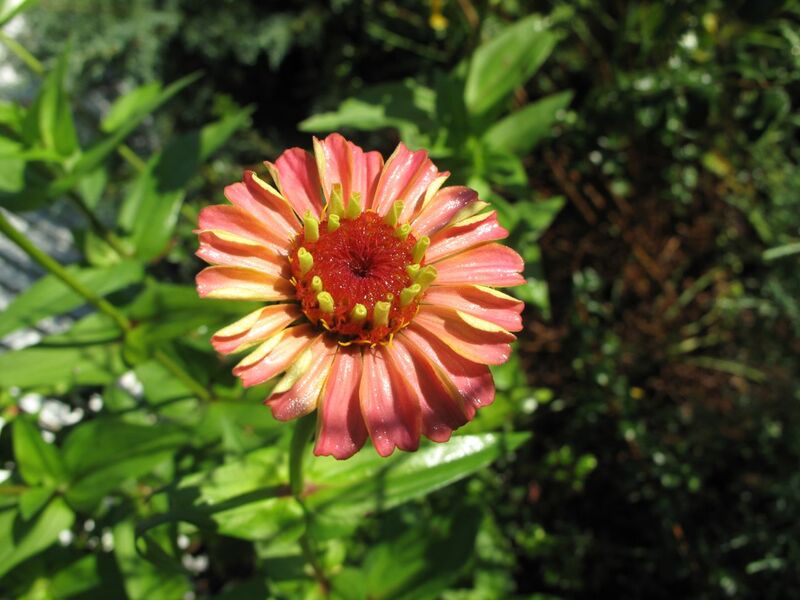 Zinnias look bright and colorful against the back fence and draw butterflies to that corner of the garden. Though many stalks and leaves are now brown, some foliage remains in good shape. Columbine, which had all been cut back after flowering, now has formed gentle mounds in (too) many places. Some of the leaves are taking on a slight reddish tinge. 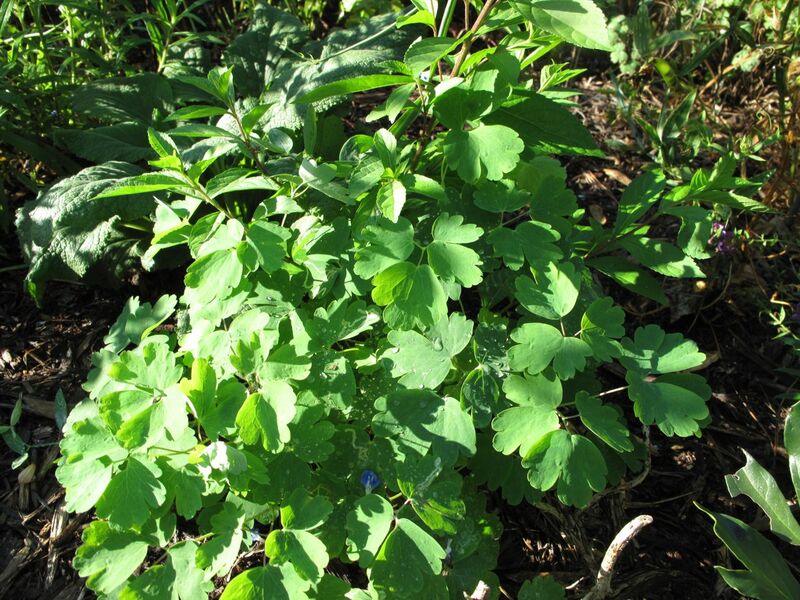 Baptisia and Artemisia team up nicely along the southern side path. The rains this summer really brought the Baptisia along this year. 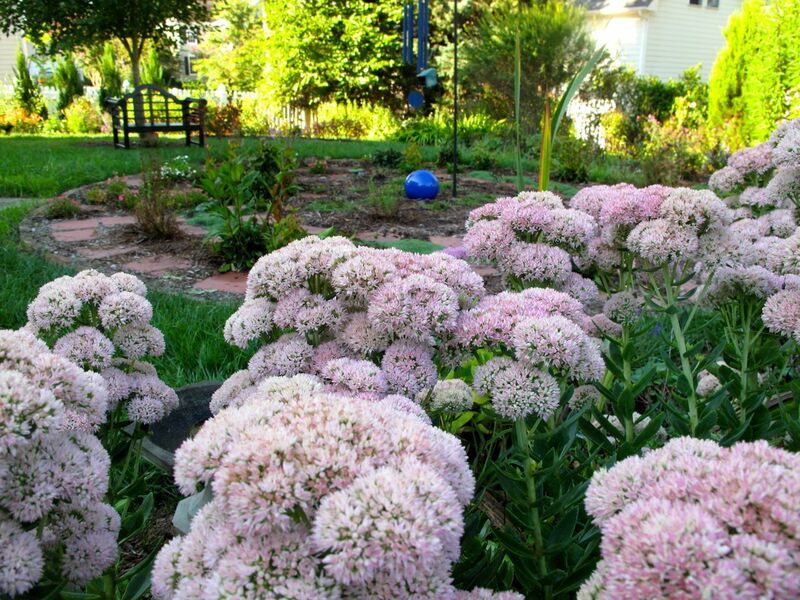 Autumn Joy Sedum began blooming abundantly this week, making its little section of the garden seem quite happy. This entry was posted in garden and tagged Aquilegia canadensis, artemisia, baptisia, cleome, garden almanac, late summer garden, nature photography, orange coneflower, phlox paniculata, Rudbeckia hirta 'Irish Eyes', zinnia on September 8, 2013 by pbmgarden. 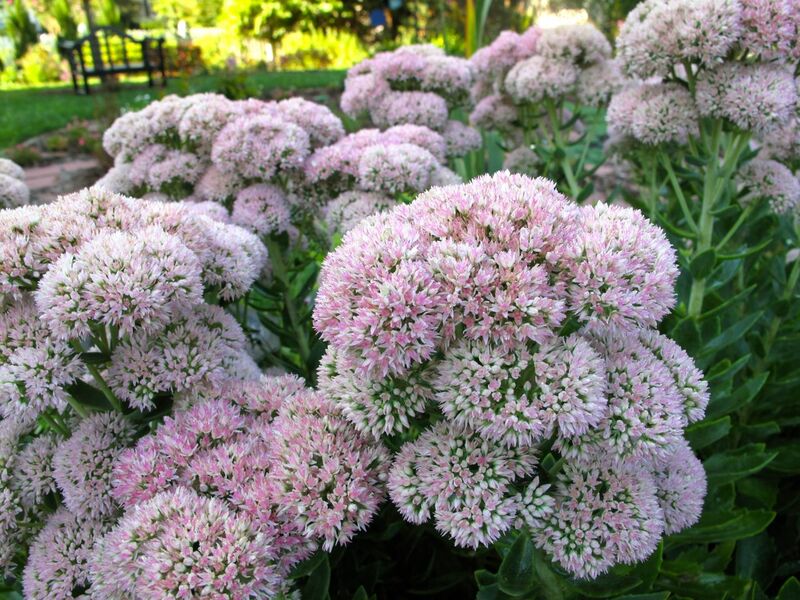 I just added the sedum ‘Autumn Joy’ to my garden. It has been on my list for some time and this fall it got done. It is not as prolife as that in your photo, but maybe over time I will get there. Bet you’ll enjoy it Charlie. These were added only last year and this year are much fuller. Such a beautiful nature journal log! Isn’t it a sight to see the changing garden of the seasons? Namaste. Thanks Derek. Yes, seeing the garden through the transitions is delightful. Your sedum flowers are amazing, our flowers are only just starting to open, hopefully soon they will make a show like yours! I bought Irish Eyes last year, it is only small this year but hopefully it will attain its correct size next year, good to see yours still flowering. I am so happy with the sedum this year and same is true of the Irish Eyes. As I mentioned in the article I have two Irish Eyes. The one that has more room and more sun is doing better by far. Glad you got some rain Annette. Soil in my area is rather heavy, clay. Your garden is looking beautiful. I always have trouble with my sedum flopping. Lovely light, especially on that Zinnia! I love sedums too, and this one is a favourite. Add me to the list of people loving the sedum. I need to bring mine back to health after it’s been smothered by shrubs and more aggressive growers. Your pictures remind me of the cheerful Autumn show! I am amazed at how, after a spring and summer of heavy rain, all the drought-tolerant plants seem to have gotten spoiled! Like everyone else, I do love the sedums and look forward to mine coloring up. Yours look lovely. Thanks. The sedums this year made a nice show long before turning color. They seem pinker than last year, when they had a deeper rose tint. 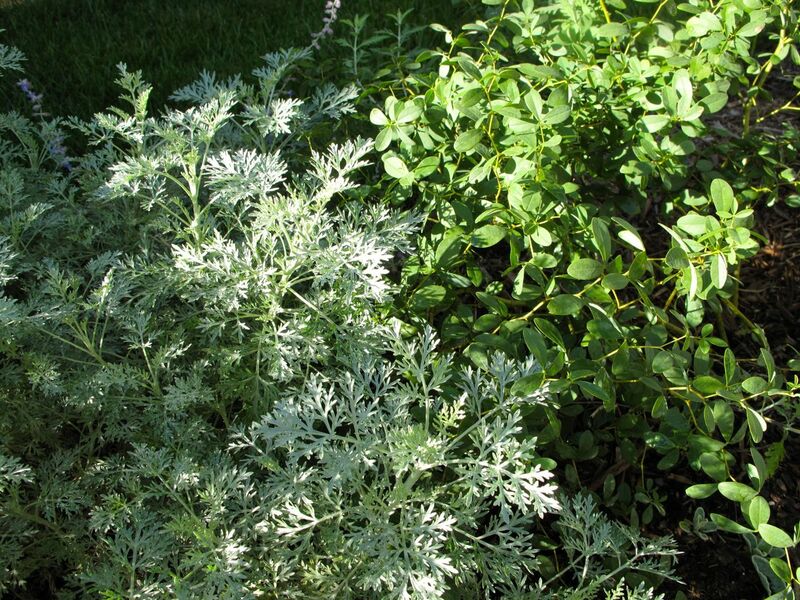 Drought-tolerant plants never seem to do well in my garden without good rains–it’s a treat to seem them perform as well as they have this year. Glad you enjoyed the little September tour. This year is my best experience with Sedum so far. Hope they’ll repeat the show every year, but they don’t do as well without the rain. Love the tour..especially the drift of sedum…just gorgeous. 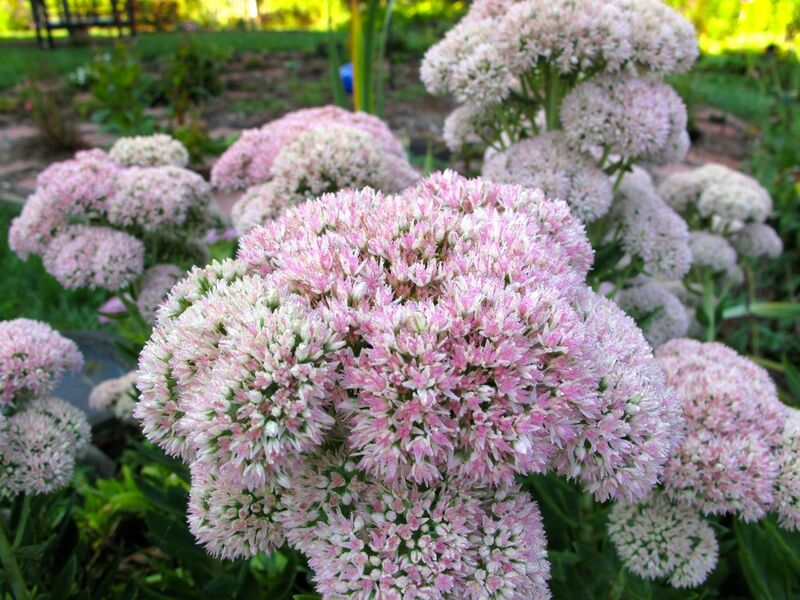 A lucky year for sedum–it’s never looked so full. Now the color is darkening to red, which I like very much.